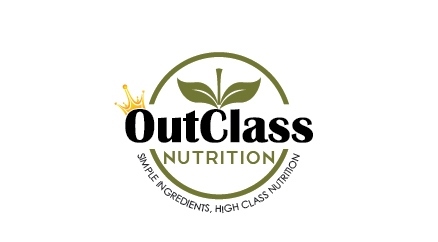 OutClass Nutrition Campaign: From the beginning of OutClass Nutrition, we wanted everyone to try our bars. This campaign is to fund our new protein bar. In order for us to expand and continue our mission, we are running a Kickstarter campaign. Our immediate focus will be to manufacture a new bar (chocolate peanut butter protein).This Kickstarter campaign will fund the manufacturing, wrapper packaging, and shipping cost of the finished protein bar. I am looking for support. Whether or not you are able to contribute, please share this page with people who LOVE protein bars! At work: You’ve been sitting all day and just want to have a healthy snack. Pre/Post Workout: You’re feeling pretty good about your workout. Why not give your body the fiber and protein it actually needs after a hard workout? On-the-go/traveling: You’re going to be in a car/train/plane for multiple hours. You haven’t been getting enough protein in for the day. Just Snacking: Want a healthy snack while you are on a long bike ride, resting after a run, or during normal life activities? We are the bar for you. Dessert: You are one of those people who wants a healthy dessert after dinner and not regret it hours later. LOOK AT OUR PLEDGE REWARDS! OutClass Nutrition is delivering unique bars. We are providing natural bars that will replace your protein shake before your weight training or fitness activity. These bars provide natural ingredients that fuel your body to perform at its highest level. We are committed to making our bars with simple and natural ingredients. The feedback has been very positive and we continue to have customers asking where they can buy our bars. We are excited to continue to provide a new flavor. Thank you for the support and sharing of this campaign. Please check out our thank you page.